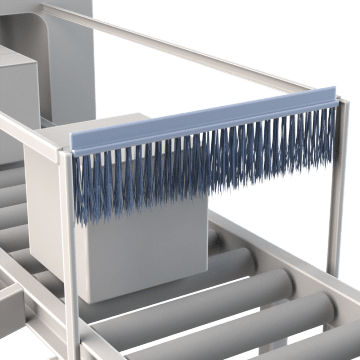 Direct and separate items, clean debris from belts and parts, or help contain dust or sprays by mounting these brushes, also known as brush seals, along a conveyor system. Choose a brush style and mounting option for your application. 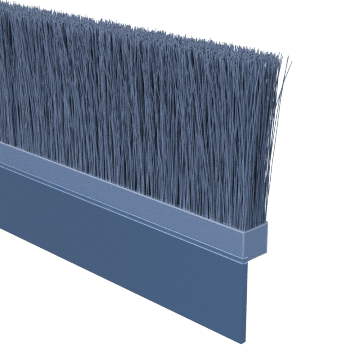 The most commonly used strip brushes, these durable brushes have densely compressed bristles securely held into a U-shaped metal channel with a retaining wire. Combine these brushes with a holder for different mounting options and to get maximum contact with your conveyor. Customize these strip brushes by bending or cutting them into the shape and size you need. They have flexible plastic backing that can be easily cut with heavy scissors or wire cutters, and the bristles are fused with the backing for durability. Backing is made of polypropylene and resists fatigue (bending), water, chemicals, solvents, oils, acids, and bases. 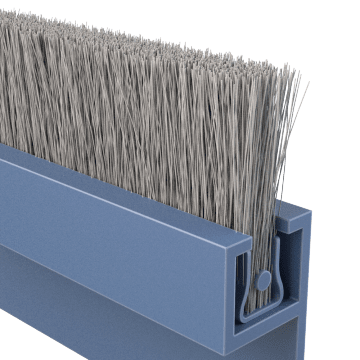 When used with a compatible flexible holder, these brushes can conform to irregular shapes to fit a variety of cleaning, sealing, and positioning applications. Use these holders to mount strip brushes in conveyor systems, assembly lines, or wherever needed. They have different profiles to provide versatile mounting solutions. Choose the holder that is compatible to the backing height and width of your strip brush. Metal holders may be drilled. Also called stapled set strip brushes, these all-in-one brushes include an integrated PVC holder so they're ready for use. 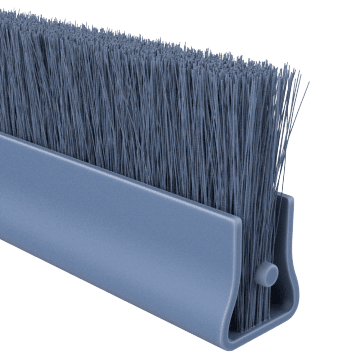 Rigid-backed brushes hold their shape and work well for straight mount cleaning, positioning, and sealing. 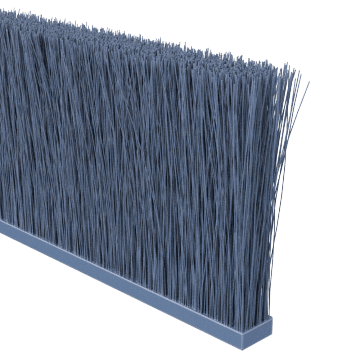 Flexible brushes ensure contact by conforming to curved surfaces.